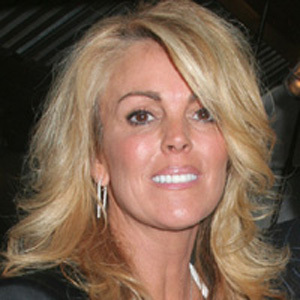 Dina Lohan - who has played a very big role in her daughter's career - will produce new real-life series, 'DramaMamas', about parents who try to help their children make it big in the entertainment industry. The show will chronicle the journey of launching a Broadway-bound musical from "page to page" while showcasing the young talents and the ambitious mothers behind them. Dina said: "There is nothing more important to me than a parent standing behind their child and helping them fulfil their dreams." It will take the audience "behind the scenes of The White Plains Performing Arts Center's theatre company", with producers promising to take the audience "on a roller coaster adventure". Production for the series begins this weekend and will run through the summer, although a TV network is yet to buy the project. As well as Lindsay - who made her big screen debut at the age of 11 in Disney movie 'The Parent Trap' but has been plagued by numerous personal and legal problems in her adult life - Dina is also mother to Michael, 24, aspiring actress Ali, 18, and 15-year-old Dakota, but she is no longer with their father, Michael Lohan.